The waterfalls along Marion Creek are particularly easy to reach, but all are worth the hike. Marion Creek seems to run high year around, and its cataracts are correspondingly wild and impressive. Height of the fall is 92 feet. 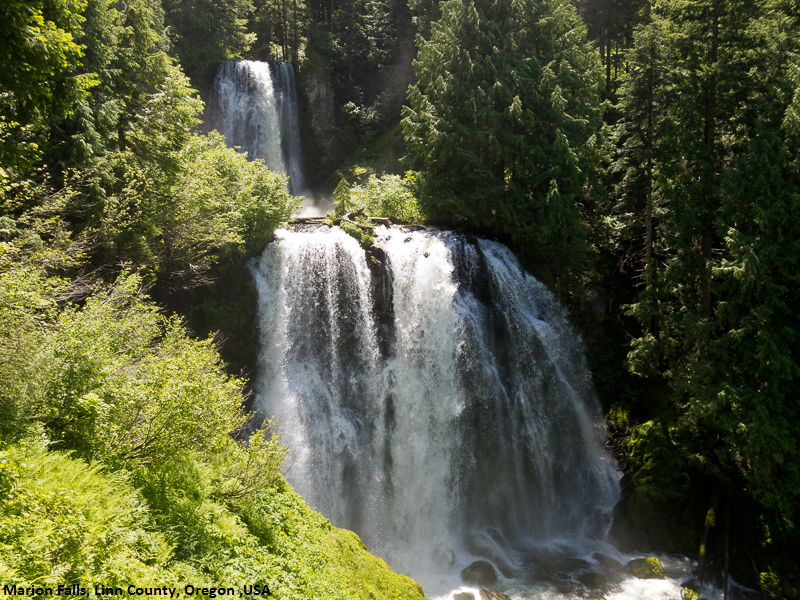 This hike is about 100 miles northeast of Eugene and 120 miles southeast of Portland, making it a great destination spot. You can also backcountry camp in this area easily, so for those wanting a longer experience consider the Marion Lake area. You reach the trailhead by getting onto Highway 22. Depending on the direction you come you’ll either turn left or right in the town of Marion Forks onto Marion Creek Road. After 5.5 miles on this you’ll hit the trailhead. There will be space for parking, but we suggest you do this hike on a mellow weekday to avoid crowds.